I'm a bit of a bag collector but only tend to invest in good quality bags that will stand the test of time. I've had a few staple bags over the past few years that do their job but aren't necessarily stylish. 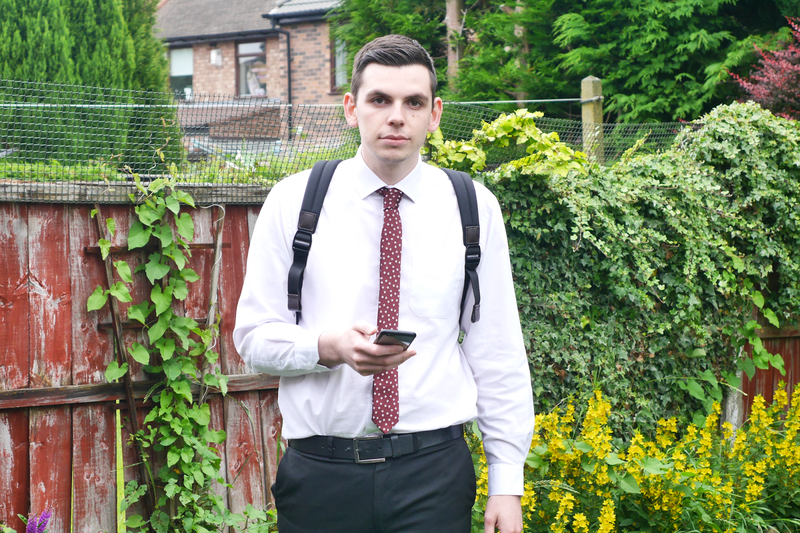 Knomo is trying to change this with their fashion-forward design and thinking to kit out the tech savvy. 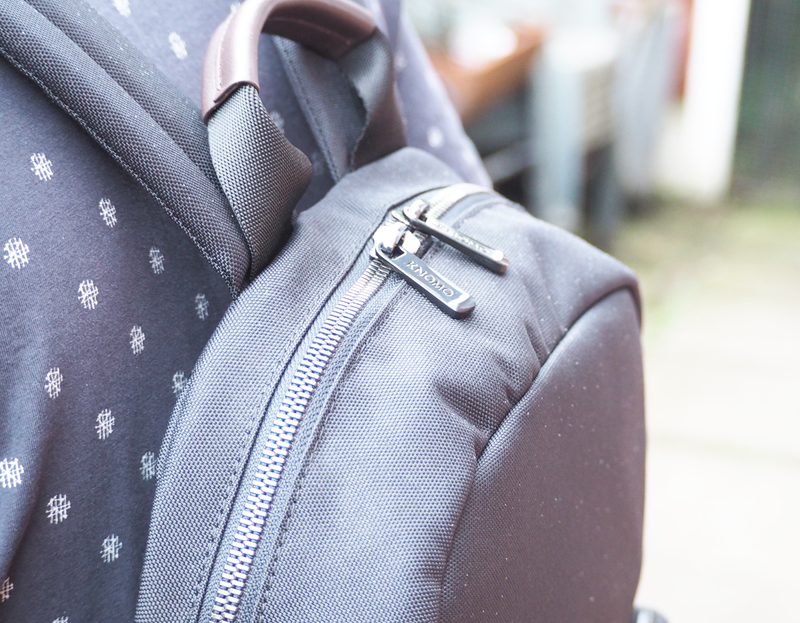 They've asked me to showcase how I'd implement one of their bags in my life, so I decided to go for the Knomo Hanson Laptop Backpack (£179.99)* which is part of their Brompton collection. 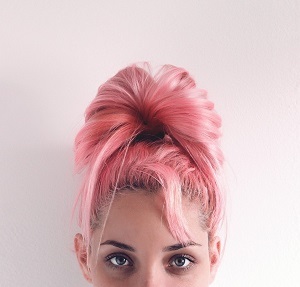 The company was founded in 2004 in London and wanted to "create perfect accessories that are beautiful on the outside and smart on the inside". Their name comes from combining knowledge and mobility and you can see that is reflected in their products to help you organise your life. Having a padded laptop slot reassures me that it will be kept safe and protected when using this bag. I'm definitely going to find the different pocket slots useful as I tend to have a number of different things in my current work bag such as pens and notepads that just end up rattling around at the bottom. One of the issues is trying to find my car keys at the end of the day, which will be helped by the detachable key chain in the front pocket. 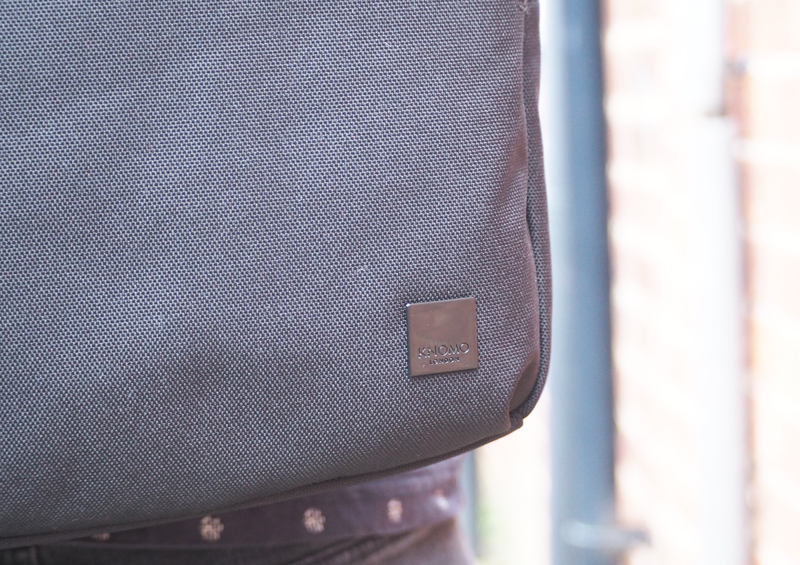 The Hanson is designed with the city dweller in mind, that want a bag that can be used every day. 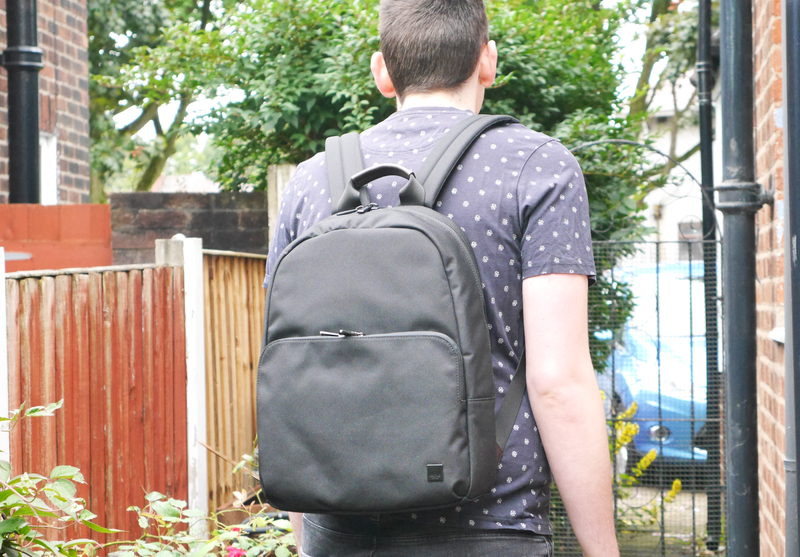 I decided to go for this bag as it's a smart and stylish bag that I can use for a number of different situations. 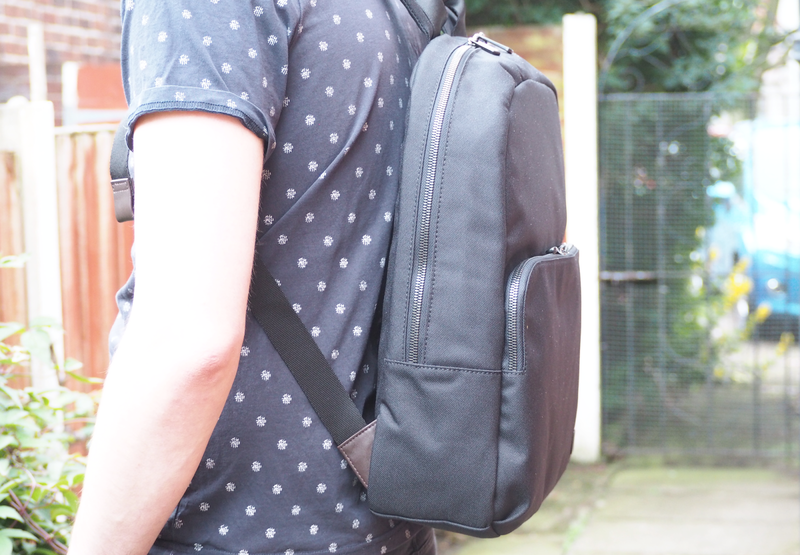 The main part of the bag has a padded section which fits up to a 15" laptop as well as a tablet section to keep your devices safely stored away. 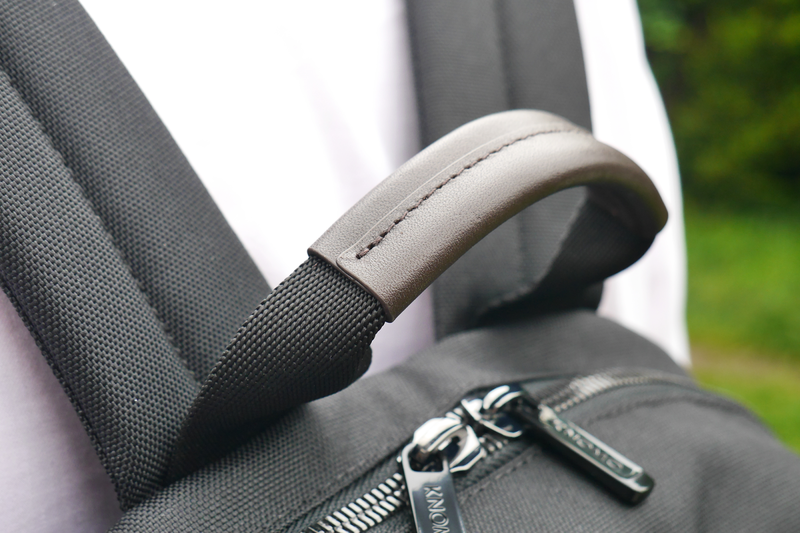 A front pocket contains a number of sections to store your smaller items and includes RFID blocking to protect your cards or passport from being cloned. I love how much functionality they have packed into this bag while maintaining the classic look. 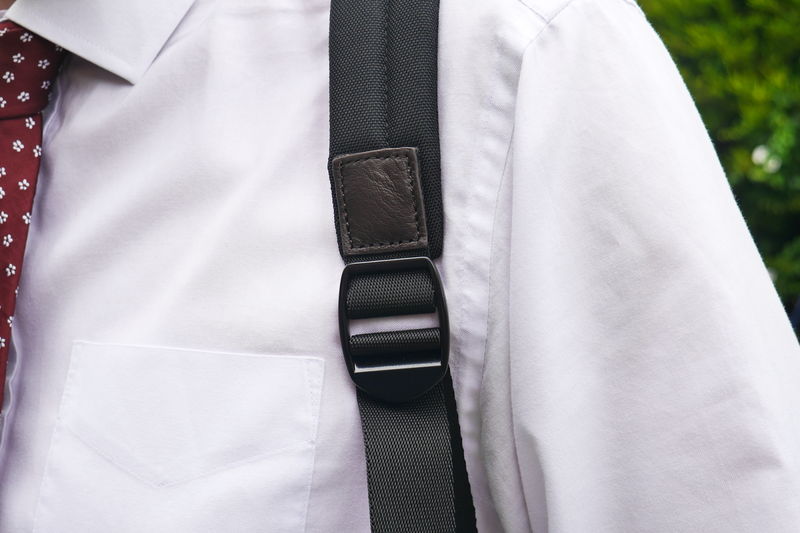 The detailing on this bag is so impressive and it gives it a real quality feel to it that I'm sure will last for many years. I think the different sections in this bag give flexibility for a number of uses. I can see myself as using this for a variety of situations depending on what I'm doing in the day. Using this for packing my camera safely away will come in useful while having enough space in the main compartment for any spare clothes I want to take out with me. The front pocket will be great for storing my wallet and phone so that I don't have to route through the rest of the bag. 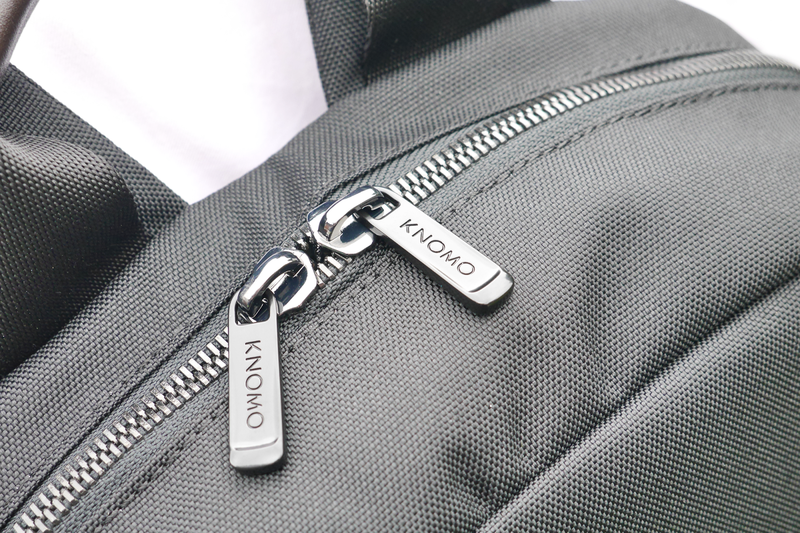 Knomo has really hit the nail on the head with this bag as it's such as simple design combined with the level of detailing will make it suitable to wear with anything and let you bring along all your essentials. 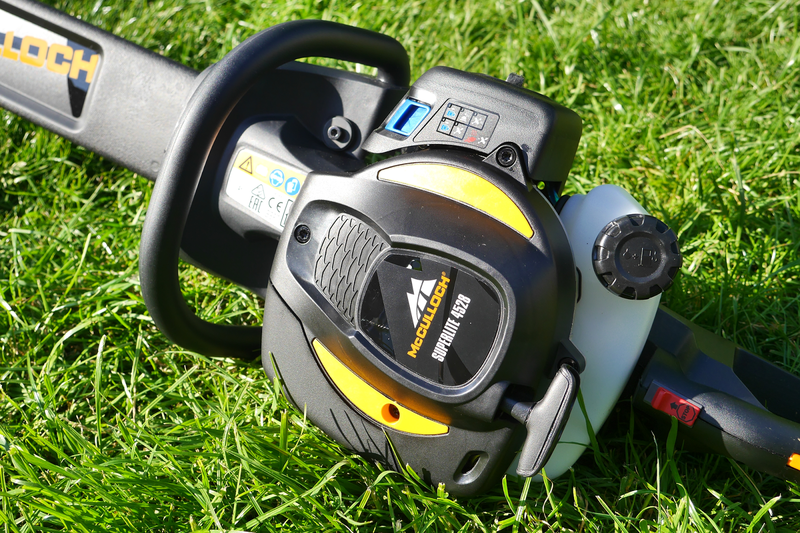 Garden power tools are always going to be popular with me as they make taking care of your garden a breeze and can form part of your collection of kit. McCulloch asked if I'd like to test out their Superlite hedge trimmer which I was super excited about as it looks great. 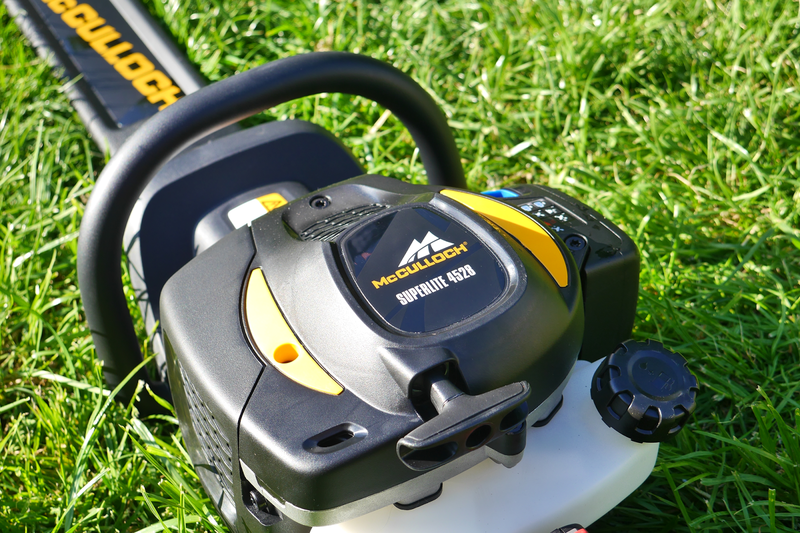 I was really impressed when I pulled it out the box as it looks like it would be able to tackle whatever you needed it for, with a good blade reach and well thought out design to ensure you can work as efficiently as possible. 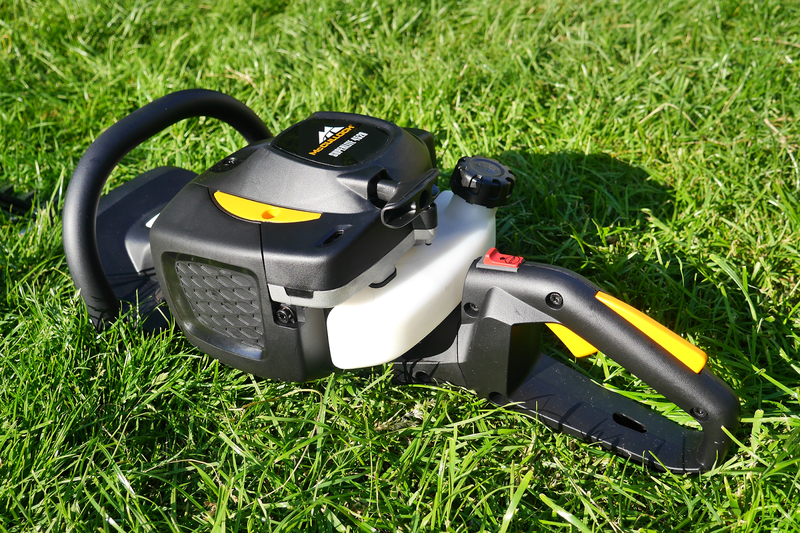 The hedge trimmer sells for £199.99* (RRP) and is packed full of functions and features to make keeping your garden in check that bit easier. The hedge trimmer is larger than ones I've seen before which should allow for it to take on some meatier tasks in the garden. It's got a low weight while being easy to handle which makes it helps to get your garden looking just how you want. One of the big bonuses with this product is that you are not restricted by power cables limiting how far you can reach as it runs on a powerful petrol motor. I've used smaller, mains powered ones before and the issue I've found is that they sometimes struggle with anything more than tidying up a small bush. To help combat the additional engine noise that comes with a petrol motor is the effective engine design which limits the noise without compromising on power output. I found the 0.3-litre visible fuel tank really useful as I could see when it was running low and would need topping up which meant it didn't just cut out unexpectedly. 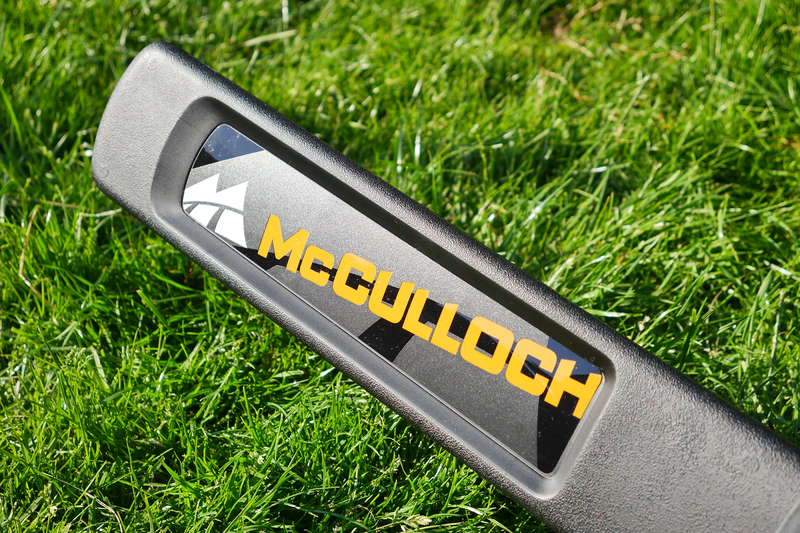 A large blade gap allows for the McCulloch to cut through thicker branches with ease, with it being able to take on anything up to 20mm (0.8") in branch diameter. It also has dual action blades which makes sure that more of the hedge will be covered so you shouldn't have to keep going over the same area. I found this made tidying up the garden a much smoother process as I didn't have to keep stopping when I came across a slightly larger branch as it just carried on smoothly without a hitch. 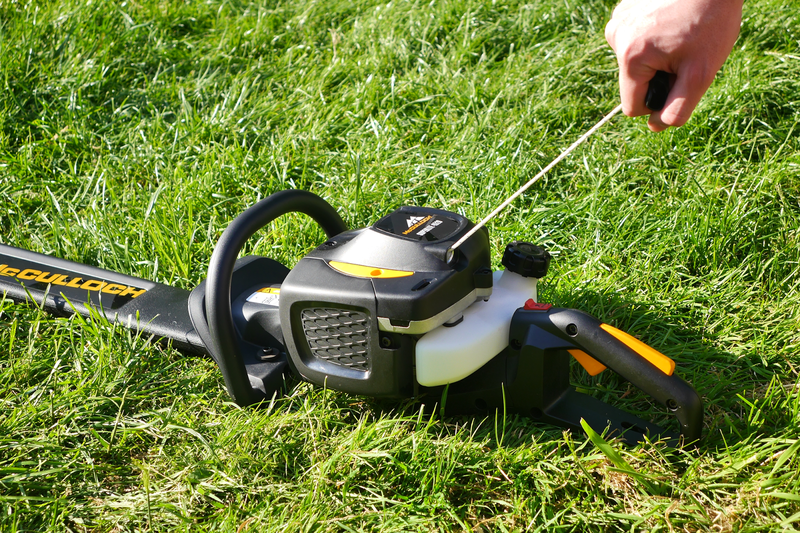 With this hedge trimmer being more powerful, I did wonder how easy it would be to control, but the anti-vibration system works really well to limit too much of the energy being lost or making it more difficult to use. When you need to clean out the air filter, it's a fairly simple task, helped by the fact that it has an easy to remove air filter cover the doesn't require any tools. 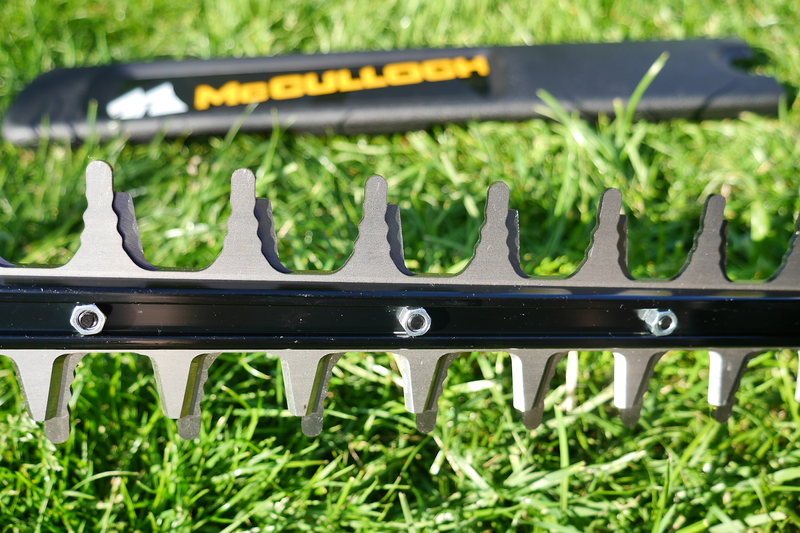 Storing the McCulloch hedge trimmer is made that bit safer with the handy blade guard that slots over to help prevent any injuries or damage to the blades while in storage. It seems to be made from a fairly solid plastic and covers the full length of the blade. This is going to be useful for when I'm transporting the hedge trimmer in the car as it won't catch on anything by accident. It has a Soft Start feature which reduces the resistance of the starter cord by up to 40% to make it easier to get it up and running. Couple this with the Purge function which is a manual pump to reduce the time it takes to start to it up by sending fuel to the carburettor. The handle on the trimmer gave me a solid grip when using it and I love the fact that it can be held from multiple angles rather than just one position. This helped me massively as I didn't have to twist my wrist around and use an unnatural movement. I was able to quickly shift my grip on the handle so I could keep cutting without interruption. 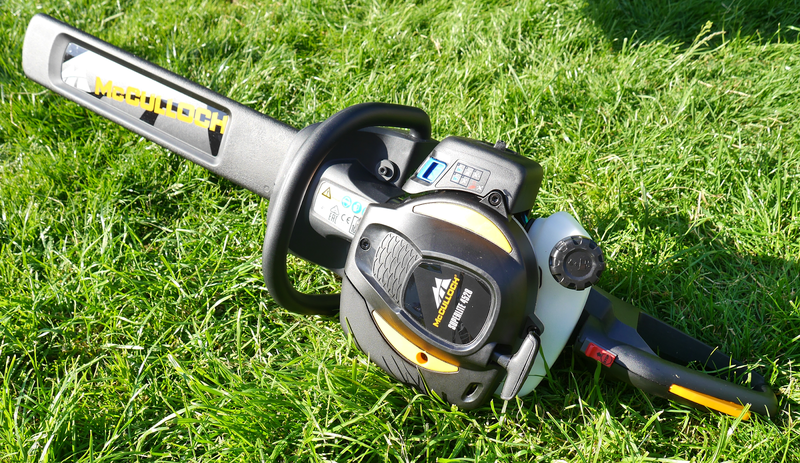 When you are finished using the hedge trimmer there is a simple auto return stop switch which will auto reset to the 'on' position once it has turned off so it's ready for the next use. It's in a handy position which I found useful. The last thing you'd want to be doing it struggling to turn something like this off and risk hurting yourself. Another safety feature I liked was the integrated cutting guard which provided a bit of reassurance that I wouldn't accidentally risk getting too close to the blades, particularly when cutting close into a hedge when you might lose sight of where the blades are. 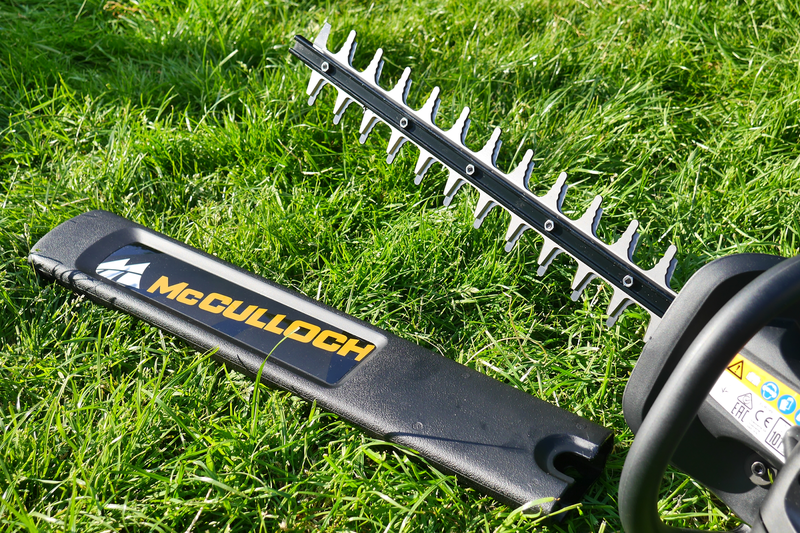 Overall I was really impressed with McCulloch Superlite 4528 Hedge Trimmer. The build quality is far superior that any I have used in the past and I think that it will get used for many years to come. It does come in at a higher price than some hedge trimmers out there, but I think the build quality and features make it worth the price. 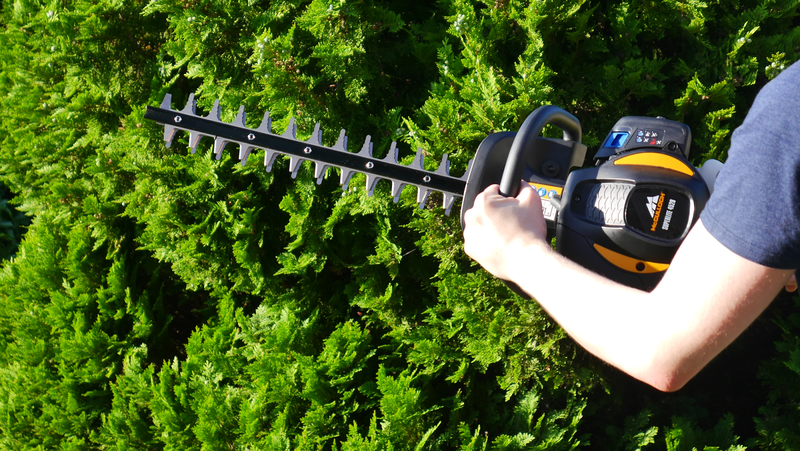 From the times I've used it, the ease of use and it's ability to breeze through whatever hedge I was doing give reassurance that I can always rely on this hedge trimmer to get the job done. I'm already planning out what I'd want to do with my future house, even as far as what I'll put in each room. I'd love to have a big TV and speaker setup to make the best use of my consoles and allow for the full experience when watching TV series and films. If you're lucky enough to have a girlfriend who is into gaming and movies like me, then you'll be needing a comfy sofa to relax on. Having a cool drink to hand would be kind of useful too as there is nothing worse than getting comfy in front of the sofa and then needing a top up of your beer. I think a mini-fridge is going to be on the shopping list when I'm sorting the room. The first thing you might think of when it comes to a man cave is a room within the house, possibly that converted attic space up a set of folding stairs. Many people will not necessarily have a spare room that can be turned into your luxury pad, so you may well think that's your chance gone. 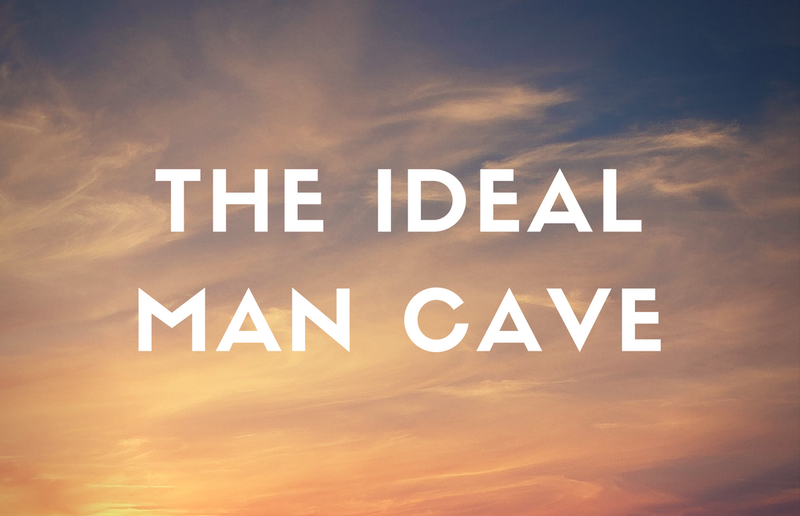 You'd probably never have thought about having a shed as a man cave. I mean, my first thought is that it would be used to store your garden tools and possibly a couple of bikes. This was until I saw the Ultimate Rugby Shed that Badger Ale created. Badger Ale has been brewed in the heart of the Dorset countryside since 1777 and they believe in always trying to make beer time as good as it can be. This has been reflected in the shed design containing everything a rugby fan could want, with a 65 inch TV, a double beer fridge full of Badger Ale and even a pie oven. The shed can even extend out to fit more people in for watching the game. If you want to check out the full setup then have a look at their video below. 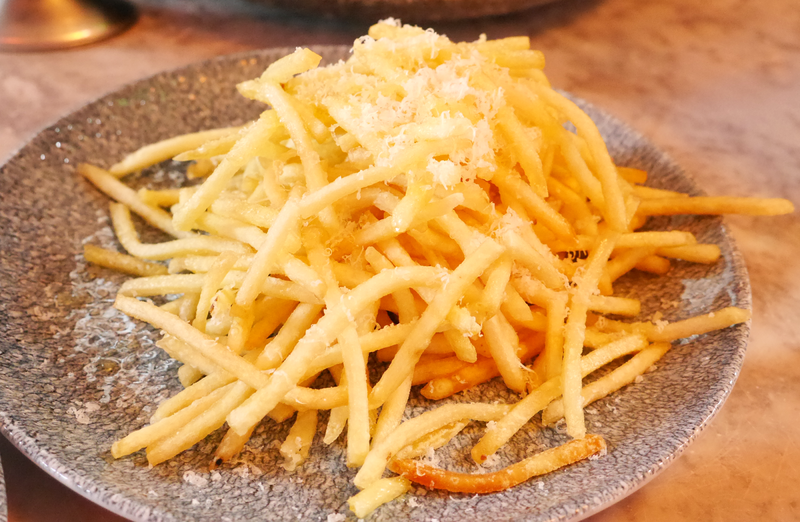 I love trying out new restaurants so that I can experience new food and enjoy a different setting to what I've been used to in the past, so when Neighbourhood Restaurant asked if I'd like come and try their new menu I was more than happy to oblige. The restaurant is located on Castle Street in Liverpool City Centre and offer a good range of food from numerous menus to suit your taste. I visited last Thursday evening at around 7pm to try out their dinner menu. 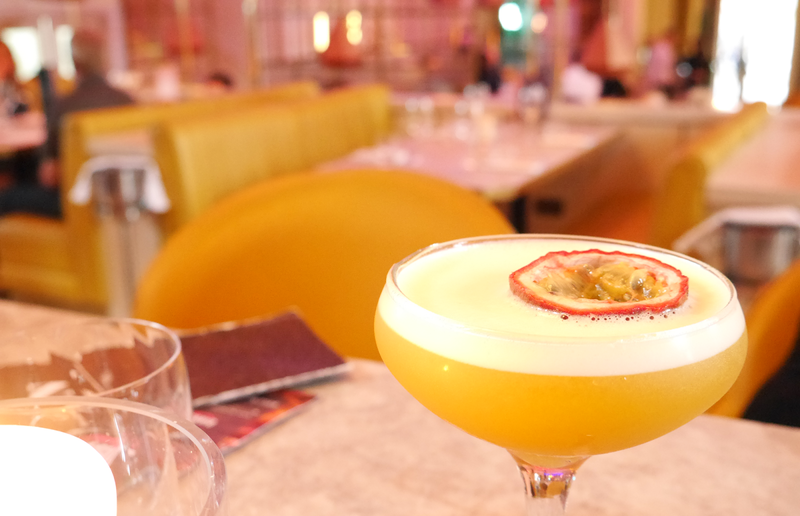 They have an impressive bar at Neighbourhood with a great selection of drinks so there should be something for everyone. 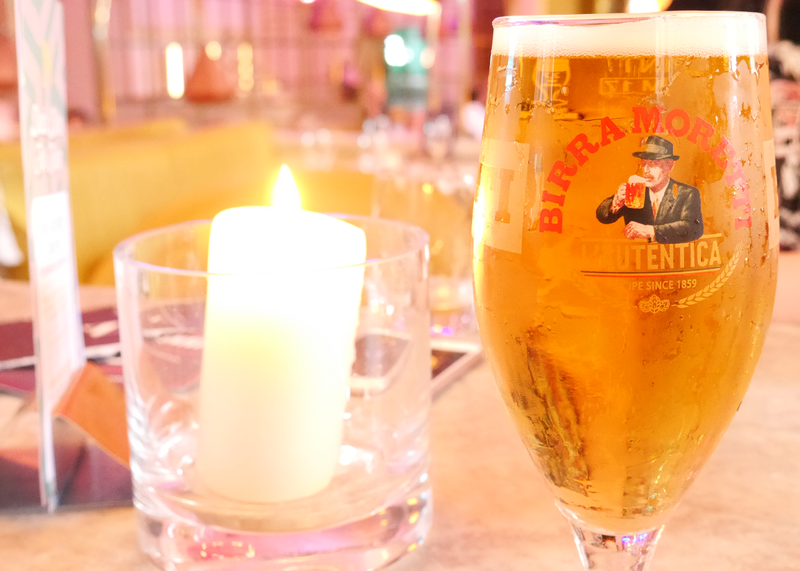 I ended up going for a pint of Moretti Beer (£4.50) as I'm always partial to a good beer when I go out for food. Laura went for something a bit more exciting and enjoyed a couple of Pornstar Martini's (£10.50 each) which are made up of Absolut Vanilla, butterscotch schnapps, vanilla and caramel syrup, pineapple, lemon juice, passionfruit puree and prosecco. I'm not really a cocktail person but after trying some of this one, I could quite easily have enjoyed a couple myself if I hadn't been driving. There were quite a few people just enjoying the bar area, which seemed like an ideal spot after a busy day at the office. 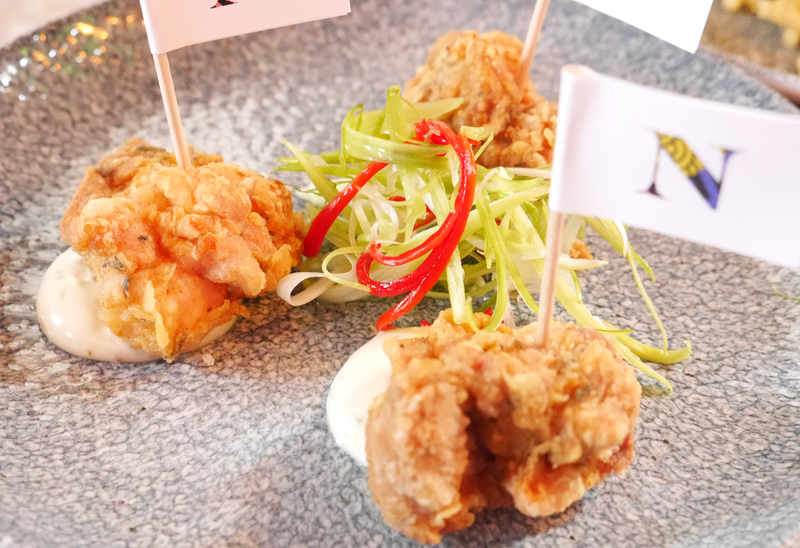 The new dinner menu has a mix of small plates. mains, grill options, sides and fish items so it took me a while to decide what to go for. 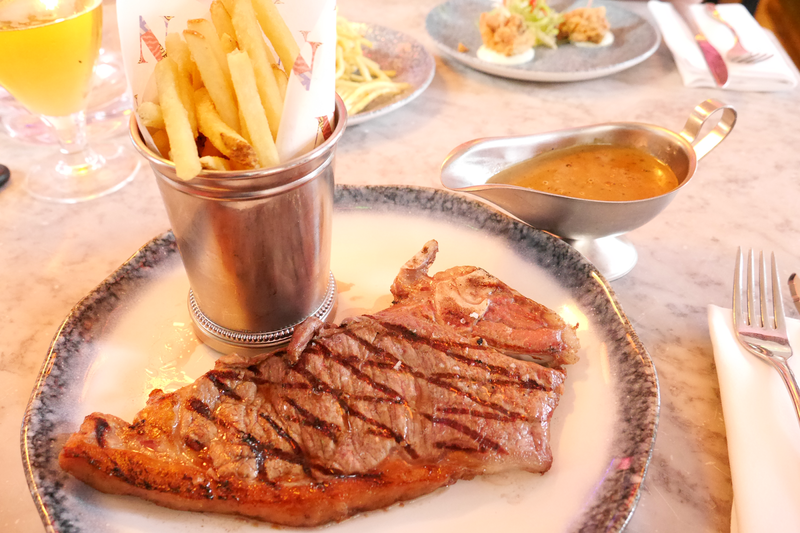 After weighing up the different options I went for the Sirloin Steak (£25.50) which came with a side of fries. 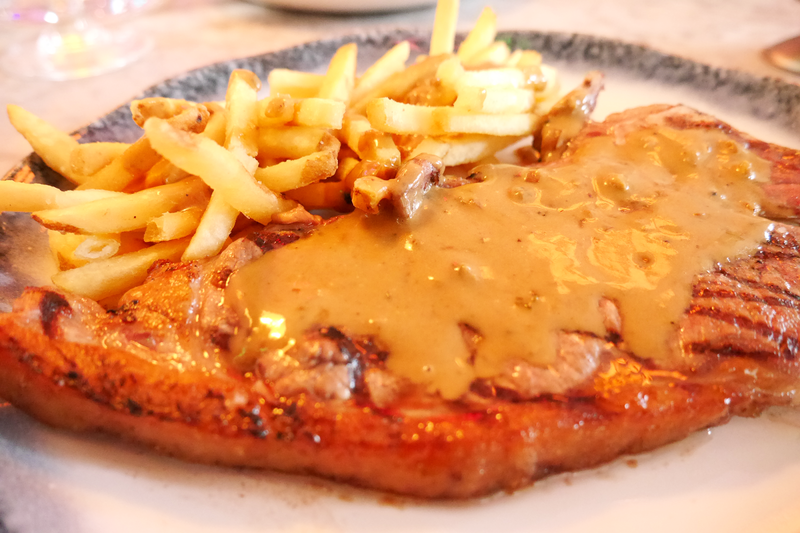 I opted to have it cooked medium/rare which left plenty of flavour in the meat while not being too chewy with a generous helping of peppercorn sauce. You can also have Bearnaise or Cafe de Paris butter with your steak. This was the perfect addition as it gave a good coating and wasn't too overpowering so that you weren't able to taste the meat. Laura chose the Chicken Lollipops in a lime and coriander dip (£9.75) from the Small Plates section and went for a side of Parmesan & Truffle Fries (£3.75). The chicken was fresh with a good coating and worked really well with the dip. Having such thin chips allowed for the seasoning to spread across them all and were different to any I've had before. Now, who doesn't love a good dessert? You can choose from one of six options on the menu with myself and Laura normally going for different dessert so we can share each others. 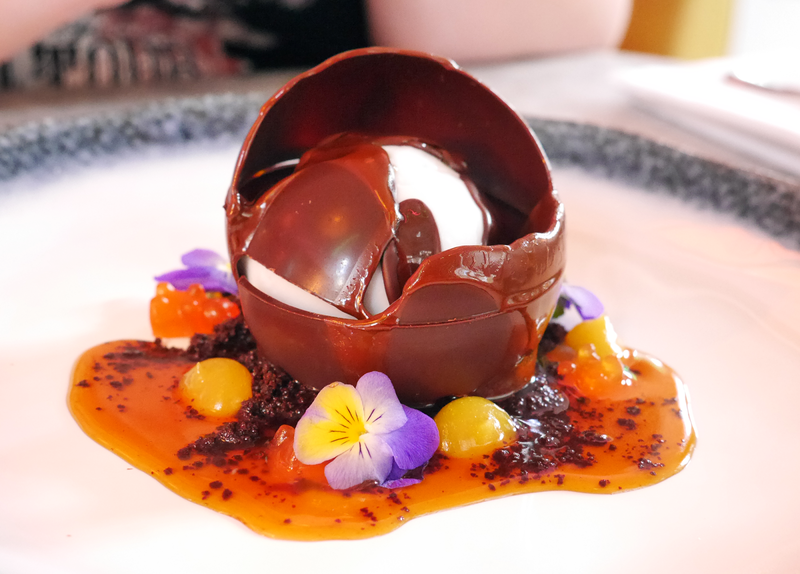 This time we both couldn't resist going for the Chocolate Bomb (£8.50) which is a chocolate shell with caramel and hot chocolate sauce. 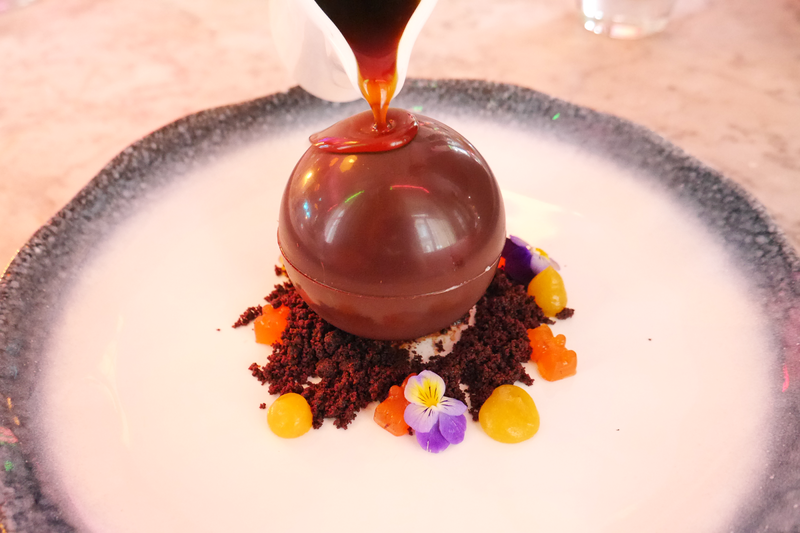 I've never had one of these melting chocolate spheres before and it was really impressive to watch it melt in front of you which I managed to capture in the photos below. The chocolate was super thin with a nice chocolate crumb which also came with a pineapple chunk and sauce which did make it a little tart. 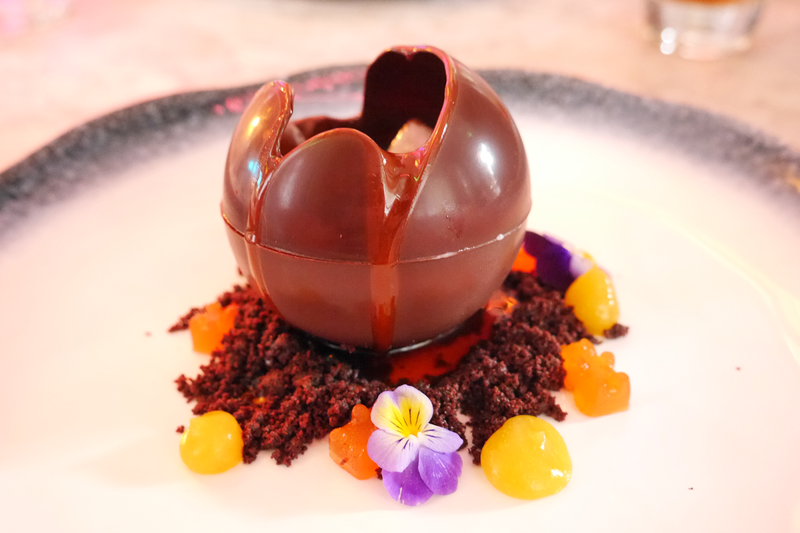 Some of the other desserts do come with fruit in so if you're not as keen on this then you may be a bit limited. 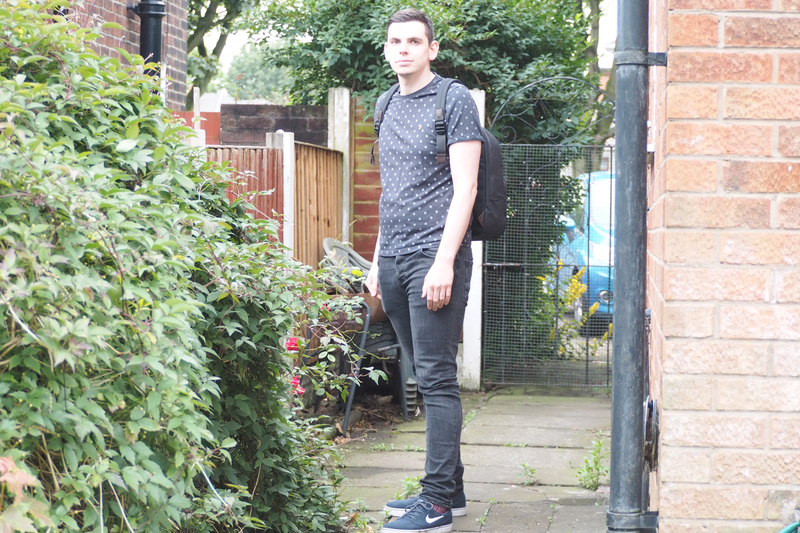 One of the things that stood out to me about Neighbourhood Liverpool was the design and decor of the building. 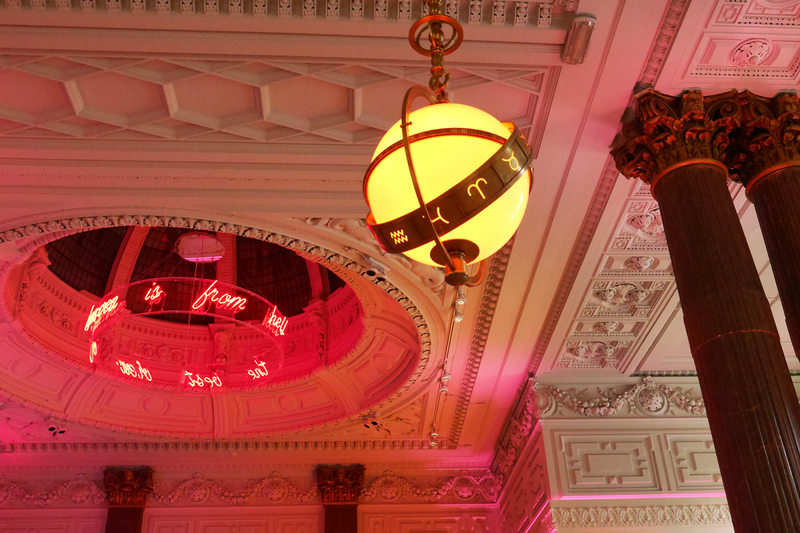 It's within an old bank which gives some of the impressive features and makes it like no other place you will have been in before. It's all open plan with a number of different levels to section off the bar from the dining level. 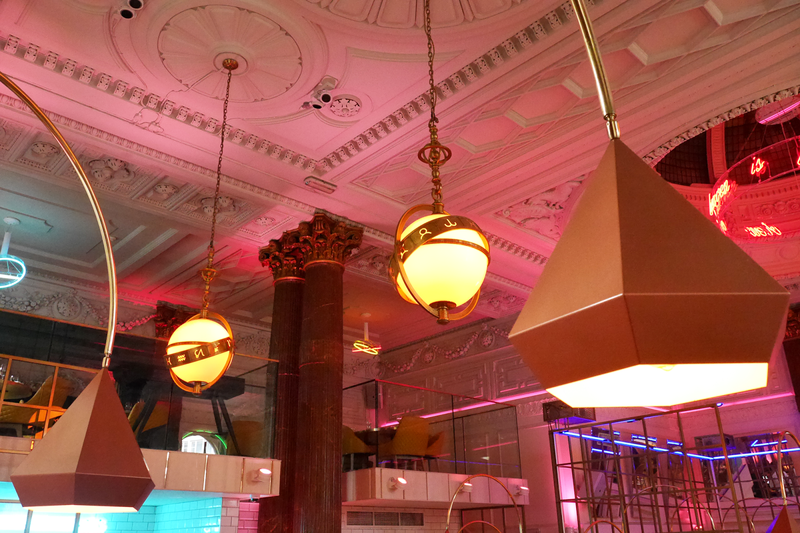 The unique lighting and metal features portrays a modern aesthetic and I found myself taking this in while visiting. We had a warm welcome to the restaurant and the staff were really friendly and keen to help. When an allergy was mentioned they double checked about other dishes to make sure they were suitable which was reassuring. The only thing I would say is the service was a little slower than other places I've been to, but if you're in no rush as we were then you can sit back and enjoy your drinks as you wait. 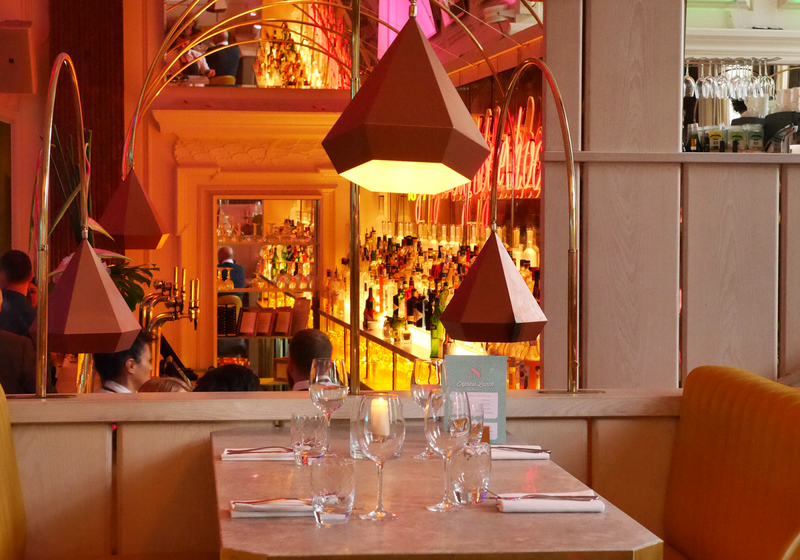 In summary, I had a really great time trying out the food and drinks at Neighbourhood Restaurant in Liverpool. The new menu is definitely worth testing out and I'd be interested to see what some of the other food is like such as the Sushi. I think the next time I visit I'll make better use of the bar area as it seems a nice place to relax with a cool drink in hand. *Review in exchange for food. I've had my GoPro Hero 4 Silver for over a year now and have been building up the attachments and mounts I've got for it. I'd been considering getting this mount for a while so when I saw it on sale I thought I'd dive in and test it out. The Frame is the smallest and lightest method of mounting the GoPro and I personally think it gives it a much sleeker look. 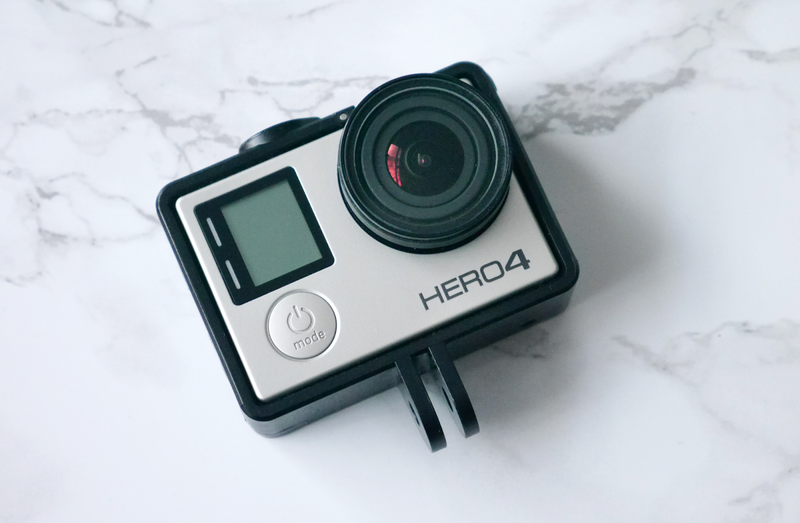 It retails for £39.99 on the GoPro website but you can pick it up a bit cheaper on other sites. 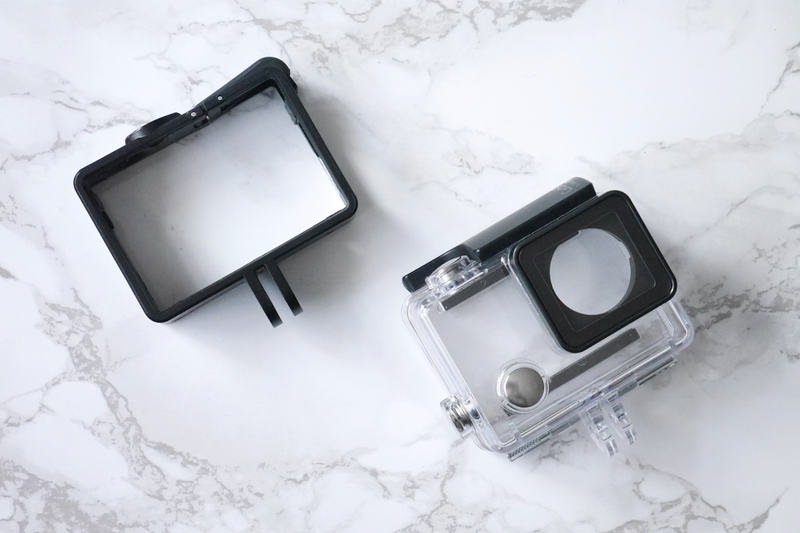 You get a glass lens cover included with the mount which pushes over the lens to protect it from scratches and prevents dirt from damaging it. It's got a rubber/plastic cover on this so it sits flush over the lens and won't come off by accident. One of the main reasons I decided to go for this mount was for the audio benefits that come with it. I was a little dubious as to how much better the audio quality would be but I wasn't disappointed. After watching my test footage back I could tell the sound was clearer and louder so knew this was going to be worth the money. 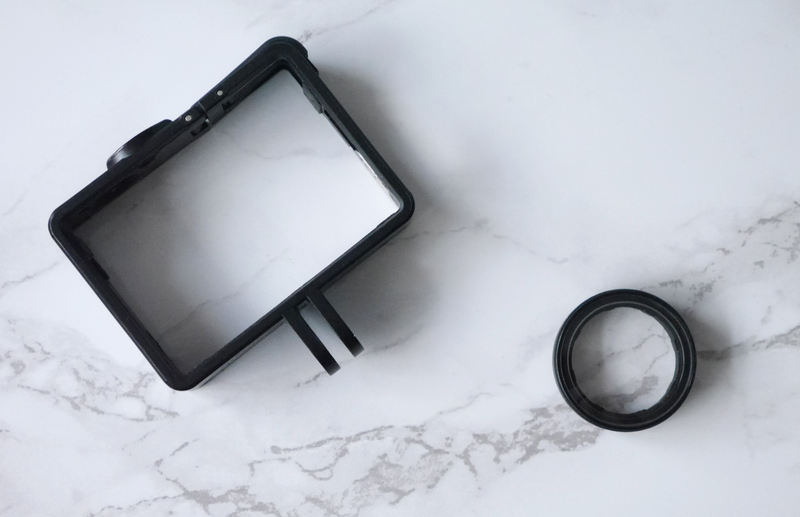 The Mount allows you to access all of the ports, so if you need to have the micro-HDMI or the micro-USB cable connected while filming then this case will come in extremely useful. You can also access the micro-SD card without taking it out the case which saves a bit of time when needing to transfer your footage. 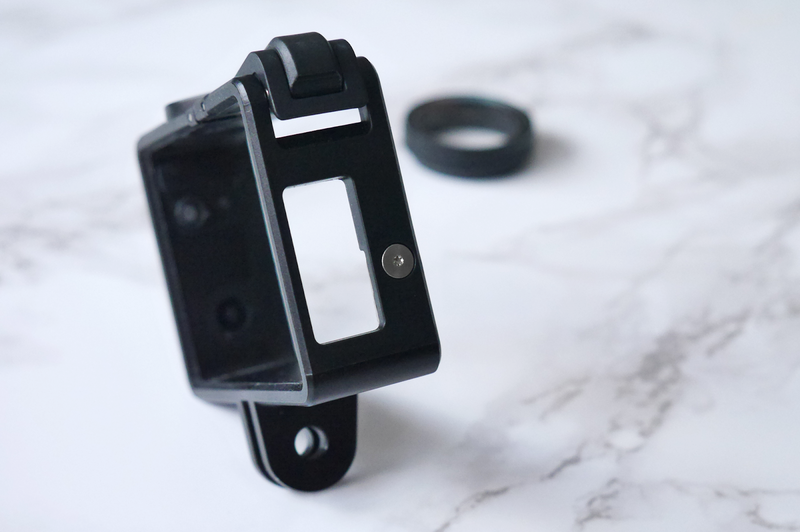 One of the other features of The Frame mount is the small metal support arm that can be pulled out so you can still use the mount even when an LCD or Battery BacPac is attached to your GoPro. When you compare it to the standard waterproof housing you can see a small difference in size and the reduction in how bulky it is. The Frame is only for use in dry and clean environments so if you re worried that your filming conditions will be different it will be worth changing to the normal housing to make sure it's not damaged. Overall, I definitely think this mount is worth investing if you want to get the best sound output from your GoPro and want a more practical case that is less obtrusive for when the conditions will allow it. 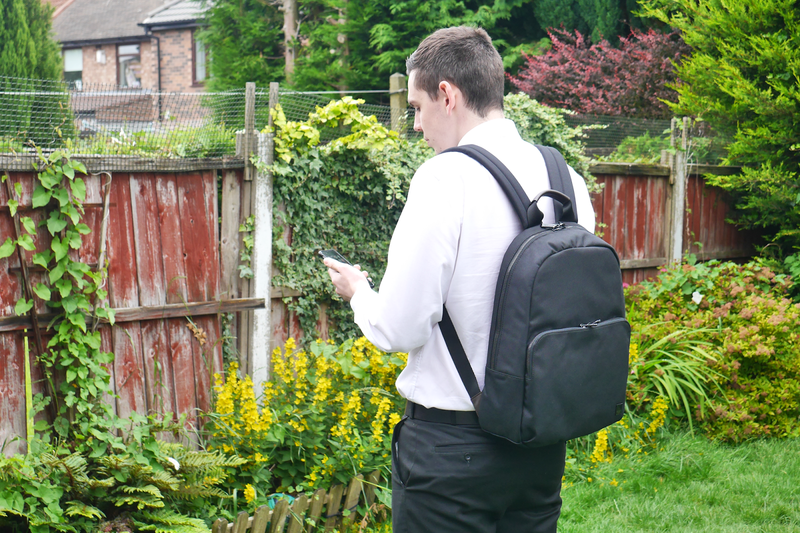 Technology plays a bit part in many people's lives nowadays and it has become the norm to use it to help us with everyday tasks. I've always been one to favour tech as my way of doing things, it just seems a little old fashioned to use pen and paper, but that's just me. I like being able to have everything at my fingertips, wherever I am. My main port of call is to use my phone for a lot of things such as keeping track of my calendar so I know that anything and everything I'm doing will be logged on there. Having something where I can view what work I have to do makes it so much easier to organise myself. I'm not going to lie, I like to make lists for everything so it's great to arrange these in sections on my phone so I can quickly go in and see what needs doing. Using a tablet also helps my life run smoother, with everything being able to sync with my phone so whichever device I'm using I always have the most up to date information, but the tablet has some added functionality. There has been more new tech being released which would be a great addition to what I currently own. It would make my life easier and get towards the smart home I would love to have. It's one thing having tech that can help organise yourself, but having something that can actually do something for you would be perfect. Having a robot hoover to do the cleaning would be great as you could come home from a long day at work and not have to spend time doing it yourself. Useful features let you choose what time and how often you want it cleaning and many can be controlled remotely. Security is an important part of keeping your things safe with cameras being one way to do this. WiFi smart-cams are the new thing which let you remotely monitor what's on at home, whether this is checking there's nothing untoward going on, or even to see what your dog gets up to when you aren't home. 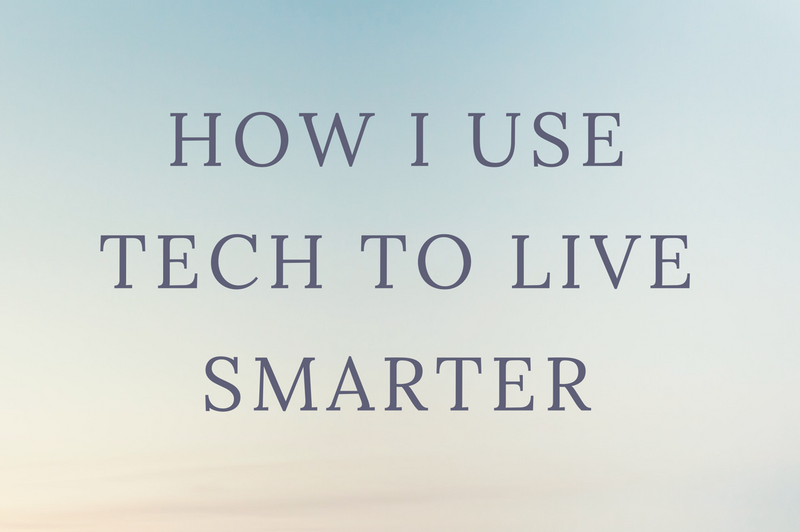 A lot of new pieces of smart tech can be controlled from your phone, which even stretches to controlling your heating. I could see this coming in very handy when you wake up in the morning and want to warm the house before getting out of your bed, or wanting to adjust the temperature when you have already got comfortable in front of the TV. Saving money on your energy bills would also come hand-in-hand as you only need to heat your home as and when you need it. I find it interesting to see what tech other people use to live smarter, and this is what Alex Brooker has been looking at on Channel 4 with his 'Home Tech Over' powered by Samsung. 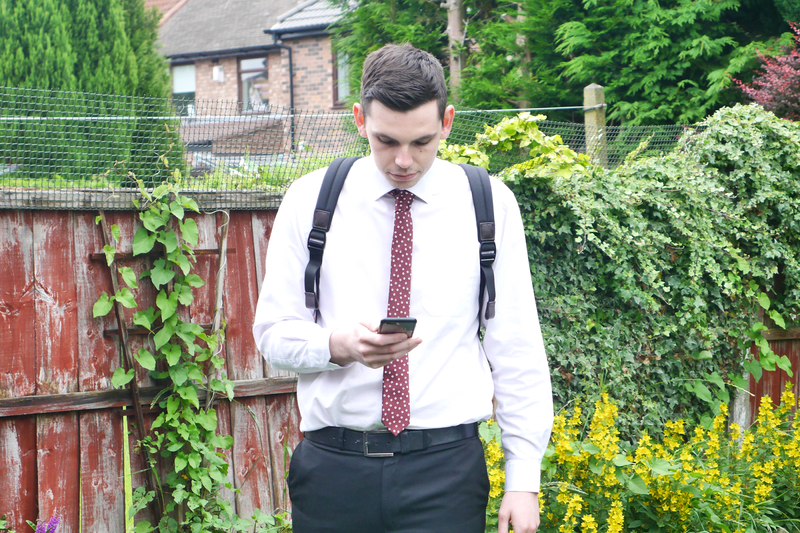 If you want to see how he got on, then you can check out the episode below.